Flying has always been a passion for Daniel White. In fact, aviation runs deep in his family. His father is an airport manager, his sister works at an airport, his mother works for a major airline company, and White himself is a pilot and certified flight instructor. He even proposed to his wife while flying! Because aviation is such a major part of his life, it’s no surprise that White is always looking for ways to get his two young children interested in flying, too. At 2018’s EAA AirVenture Oshkosh, he spotted the kit for a 1943 12-D Taylorcraft at the Pedal Planes booth and leapt at the chance to introduce his kids to aviation with a one-of-a-kind gift. White purchased the Taylorcraft kit from a company called Aviation Products, Inc. which is known as the “gold standard” in pedal plane design. 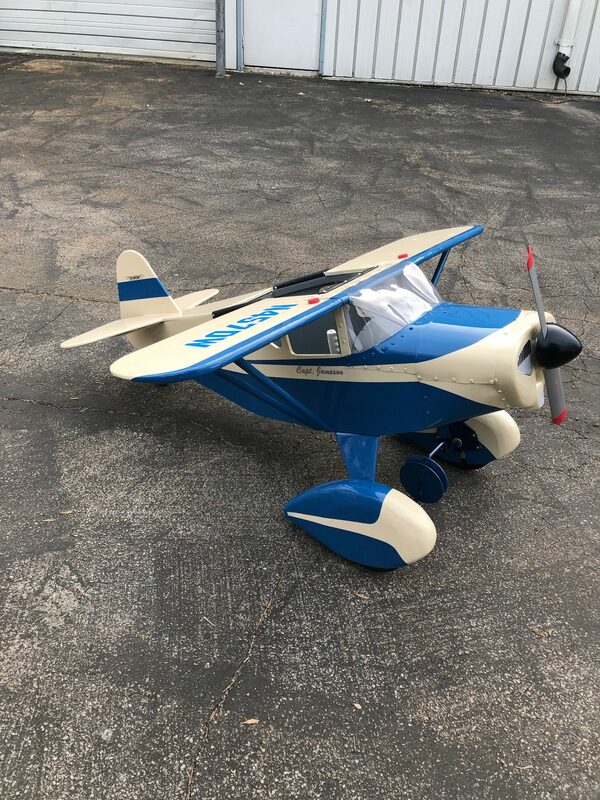 For over thirty years, the company has offered realistic replicas of popular aircraft made for aspiring pilots from ages 3-7. The company offers 14 different models that can be built from detailed plans or complete kits with all the parts and hardware included. Building the pedal plane was a labor of love, says White. He started the project in early September and worked on it for a few hours almost every day until it was finally completed in December. Like most pedal plane builders, White wanted to make his plane look as authentic as possible. 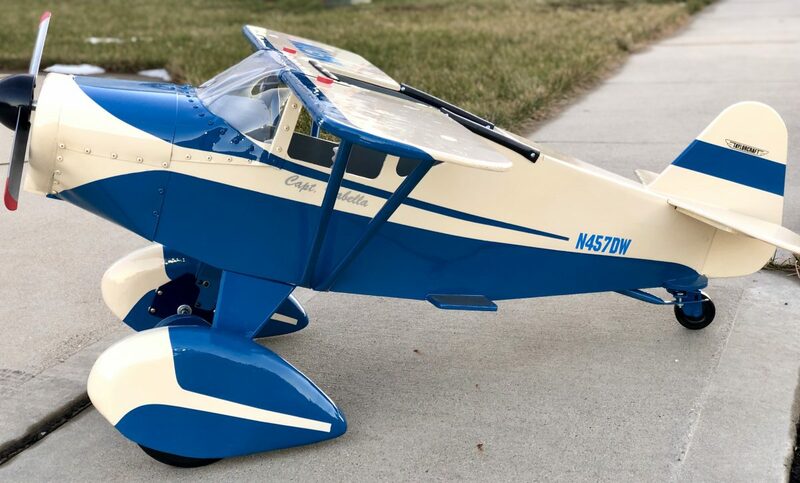 “I decided to go with the blue and cream paint job because it was a historical paint scheme for a 1943 Taylorcraft. I worked with an auto detailing paint shop to have it professionally painted and even included the N-number I have registered with the FAA to represent the airplane I want to have someday,” White said. White also reached out to us at Hartzell Propeller to request small decal stickers for the propeller blades, which spin when the plane is pedaled by its mini-pilot. “Because the plane came with a metal prop, I just knew I wanted it to be a Hartzell for that authentic look,” White said. 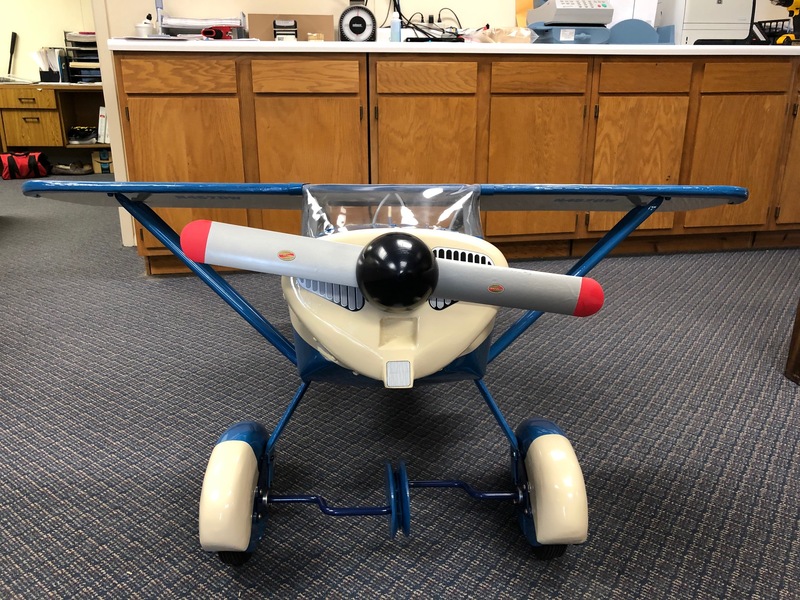 White finished the project in December, just in time to give the pedal plane as a Christmas present for his 4-year-old daughter, Isabella, and 20-month-old son, Jameson. White says his children were thrilled to have a pedal plane of their own. “It’s a great way to pass down my love of aviation to the next generation. I hope it stays in the family forever. I want my kids to be able to pass it onto their kids and know that I made it for them,” White said. If you’re looking for a unique way to inspire the budding young aviator in your own life, take on the challenge of building a pedal plane! 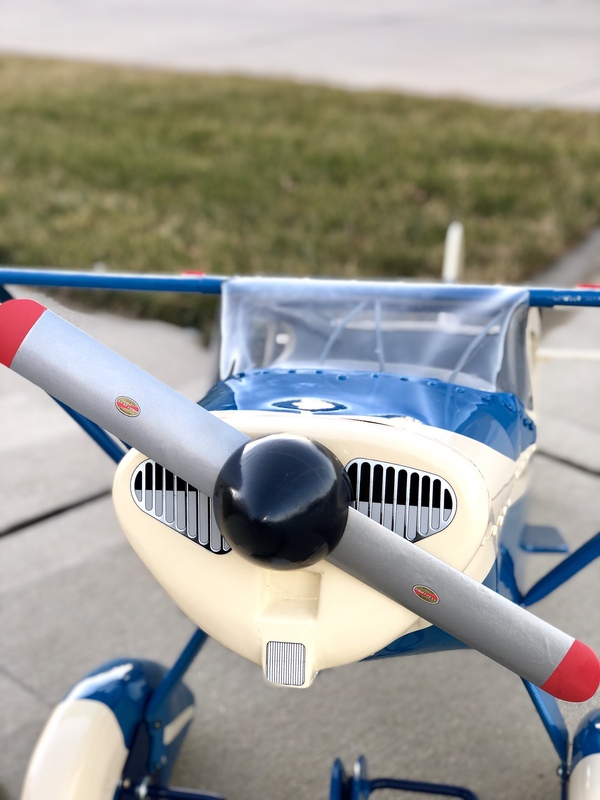 Not only is it a fun project to complete, but it might even be a good starting point if you’re thinking about building an airplane of your own. And if you already have a pedal plane, consider bringing it along to this year’s EAA AirVenture in Oshkosh. A group of pedal plane builders is organizing a “PedalVenture” event with plans to set the unofficial world record for the most pedal planes in one gathering.